Knowledge is power, especially when it comes to service for your Chevrolet, Buick, GMC, or Cadillac in Greensboro, Winston Salem, and High Point, NC. Make sure that you know what you are getting when you come to our Service Department in need of regular maintenance or an extensive service. One such example would be an oil change. Yes, it is one of the most routinely completed services, but there is much you should know about that service before and after you go in for it. Take a look at the information we at Vann York Chevy Buick GMC Cadillac have for you about oil changes. Motor oil has multiple important jobs in your engine. One huge factor is lubrication. Oil is distributed throughout the engine to make sure that no pieces are rubbing together. When these metal pieces rub together it causes friction. The friction will wear down the parts and also cause them to melt. If they melt and form to one another, then the engine can seize, costing a lot of money to have repaired. Another important job that oil has is to keep your engine clean. While it moves around the engine, the oil is holding on to dirty deposits and chemicals that could harm your engine. Over time, as it collects more and more by-products, the oil becomes less effective at keeping the engine clean, and those deposits remain throughout the engine. This can cause the engine to work harder because of sludge buildup and ultimately affect your fuel efficiency. 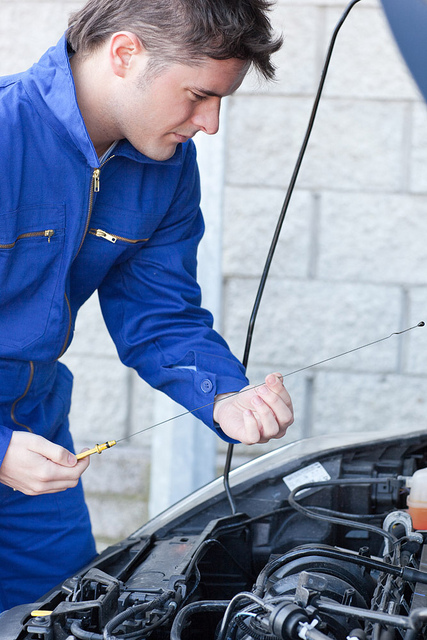 Suggested intervals for getting an oil change are every 3,000-5,000 miles. This, of course, is changed by other factors like the conditions you drive in, how often you drive, how far you commute to work, or if the car is getting old and using more oil to operate. Take a look at your General Motors owner's manual for more tips on when to get an oil change.Then, schedule your service appointment to have it changed! Having your oil changed is a relatively simple process. It just takes some time to complete.It is important to know what goes on during an oil change so that you can remain knowledgeable about what is happening for your car. First, the old oil is drained from your car out of the oil drain plug on the oil pan in your engine and disposed of either through recycling or a proper disposal site. After the drain plug is screwed back on, the oil filter will be removed and replaced by a new one. It is important to replace the oil filter when you change your oil because the oil filter helps collect the bad deposits that have been in your engine. It can get backed up if you not replaced, and then rendered inefficient. Once a new oil filter is securely tightened on the engine, new oil will be added to the engine. GM mechanics are aware of the recommended type and amount of oil for vehicles. When the oil has been refilled the oil cap will go back on and the engine will be started. Starting the engine helps to spread the new oil out through the parts. Now an oil change has been completed.